St. Louis Mayor Francis Slay is asking businesses in the city to help put 500 young people to work this summer through a program called Stl Youth Jobs. One corporation stepped up Wednesday. 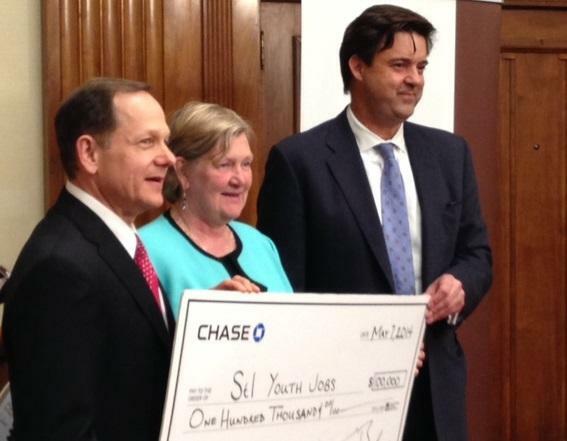 JPMorgan Chase presented a $100,000 check to Stl Youth Jobs. Pictured from left: Mayor Francis Slay, Incarnate Word Executive Director Bridget Flood, JPMorgan Chase's Scott Bush. JPMorgan Chase announced a $100,000 donation, and the company is asking other businesses to help. 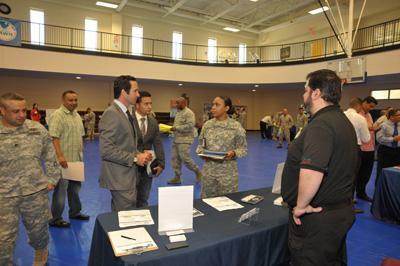 "It is very important for this city that we build that base, that base of people that understand how to work, love to work and want to be part of this community," said Scott Bush, a managing director and market leader with the firm. The program, managed by the Incarnate Word Foundation, is aimed at 16- to 23-year olds from high poverty and high crime areas in St. Louis. It is paid for by a combination of public and private funds, including $200,000 from the city of St. Louis. Mayor Slay says another $70,000 is needed to make the goal of getting 500 young people into summer employment. "We’re still looking for donations," Slay said. "We want to make sure we have the biggest bang for our buck and that we reach as many youths as we can." The mayor said the idea came out of the St. Louis Regional Youth Violence Prevention Task Force, which came together in 2012. "What we’re doing is trying to focus on areas that have a higher level of at-risk youth, so that they’ll have something to do in the summer," he said. "It’ll keep them off the street, put some money in their pocket, and teach them basic life and job skills." Last summer 200 young people took part in the program. Bridget Flood, executive director of the Incarnate Word Foundation, said about 85 percent of the participants completed the program. Of those, 50 percent went on to find other jobs. "Our young people want to work," Flood said. In fact, more than 1,000 people have applied for the 500 positions for this summer. At first glance, veterans of the post 9/11 wars and St. Louis youth in high crime neighborhoods don't have much in common. 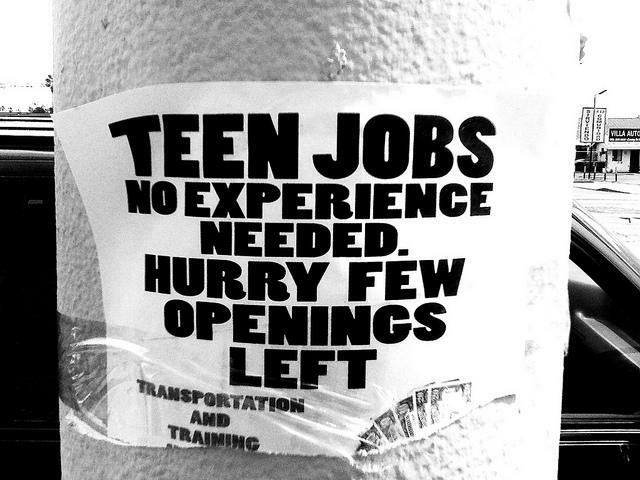 But two things unite them: both are considered at-risk and both can have a tough time finding jobs. Sharon Holbrooks is with the Monsanto Family YMCA branch in north St. Louis City and can remember when a young woman showed up for her first day at work this summer. That same young woman is now interviewing for a fulltime job at that same YMCA branch. If you’re in your late teens or early twenties, here’s some news you might already know: Employment rates for those age categories plummeted in the U.S. from 2000 to 2011. A new report from the Brookings Institution looked at the 100 largest metropolitan areas. The picture was stark for people in their late teens and early 20s.